How often do golfers who've graduated from the Web.com Tour finish high up the PGA Tour money list in their rookie PGA Tour seasons? It doesn't happen that often. But when a Web.com grad does pull off a good finish in their PGA Tour rookie seasons, it often signals a pretty good career is ahead. The Web.com Tour is the developmental tour for the PGA Tour. It is the Triple-A golf tour in the United States to the PGA Tour's major leagues. When a golfer finishes high enough on the Web.com rankings, the golfer moves up to the PGA Tour the following season. Golfers and fans refer to this as "graduating" to the higher tour. With that piece of background out of the way, let's get to the list. So far, no Web.com Tour graduate has recorded a Top 10 money list finish in their rookie PGA Tour season. But these six golfers did finish in the Top 20. 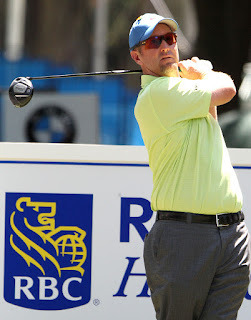 David Duval: Graduated from 1994 Web.com Tour, finished 11th on PGA Tour money list in 1995. Keegan Bradley: Graduated from 2010 Web.com Tour, finished 13th on PGA Tour money list in 2011. Mark Hensby: Graduated from 2003 Web.com Tour, finished 15th on PGA Tour money list in 2004. Brandt Snedeker: Graduated from 2006 Web.com Tour, finished 17th on PGA Tour money list in 2007. Brendon Todd: Graduated from 2013 Web.com Tour, finished 18th on PGA Tour money list in 2014. Zach Johnson: Graduated from 2003 Web.com Tour, finished 19th on PGA Tour money list in 2004. In addition, several other graduates from the developmental tour have finished inside the Top 25 on the money list in their rookie PGA Tour seasons. Emiliano Grillo was 22nd on the PGA Tour money list in 2015-16; Boo Weekley, 23rd in 2007; and Tom Lehman 24th in 1992. And these three graduates all finished 25th in earnings in their PGA Tour rookie seasons: Aaron Wise (2017-18), John Rollins (2002), Daniel Berger (2014-15).